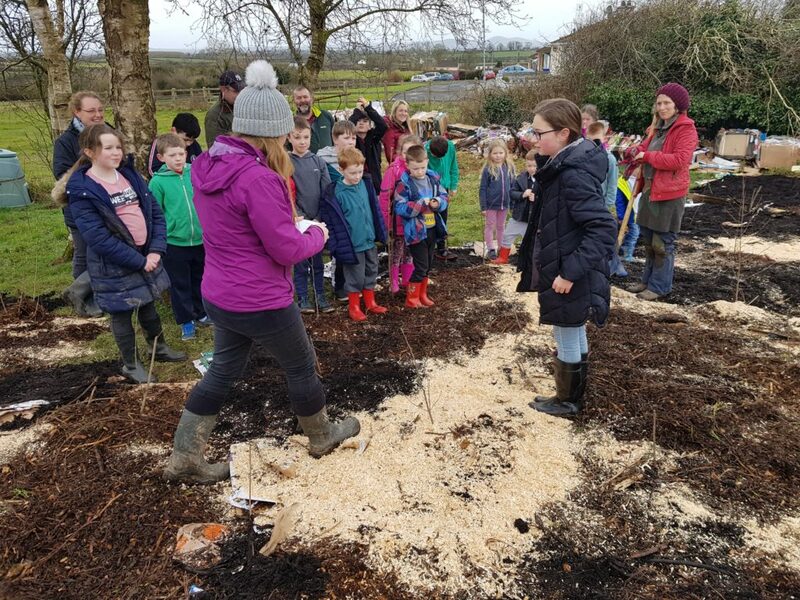 Four of the LEAF schools took part in a new Programme called ‘Tiny Forests’. The schools were: Scoil Mháthair Dé, Fedamore NS, Limerick Educate Together and Our Lady Queen of Peace. Tiny forests are small sense native woodlands, planted close together. The main aim is to create spaces on the school grounds, which will be an educational resource for the whole school. They will be places where biodiversity can thrive, home to ladybirds, beetles, millipedes, woodlouse, spiders, birds and other mammals. 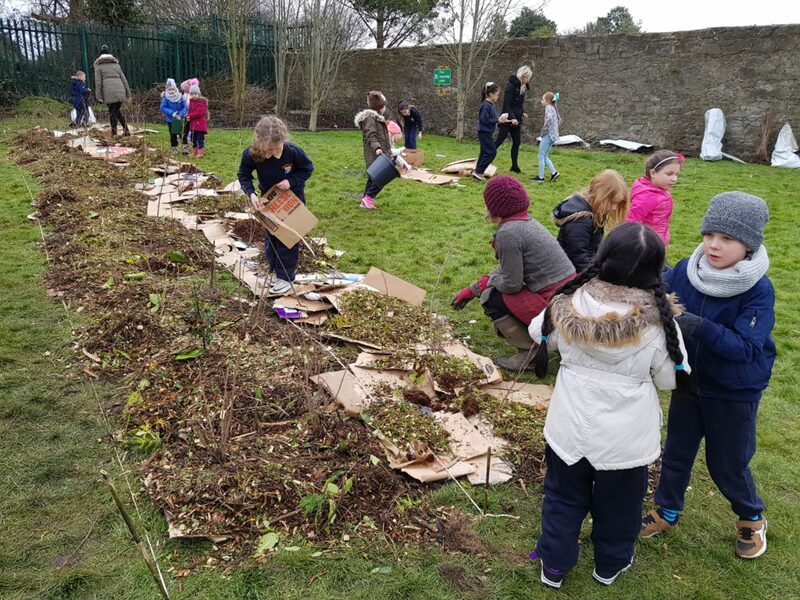 We are developing worksheets for the students and support sheets for teachers and this will make it easier to use the Tiny Forest as an outdoor classroom, right on the school’s doorstep. Currently there are Tiny Forest Projects happening in The Netherlands and Malaysia too. Soon we are hoping that these schools can connect with each other, so that they can learn about different tree species that grow in different parts of the world. We planted between 200-400 trees in the school grounds, in total 1200. The physical work was done with the students and teachers. In Fedamore, the local community got involved too. We sourced the trees from Saul at Celt Tree Nursery in Scarriff, Co. Clare. 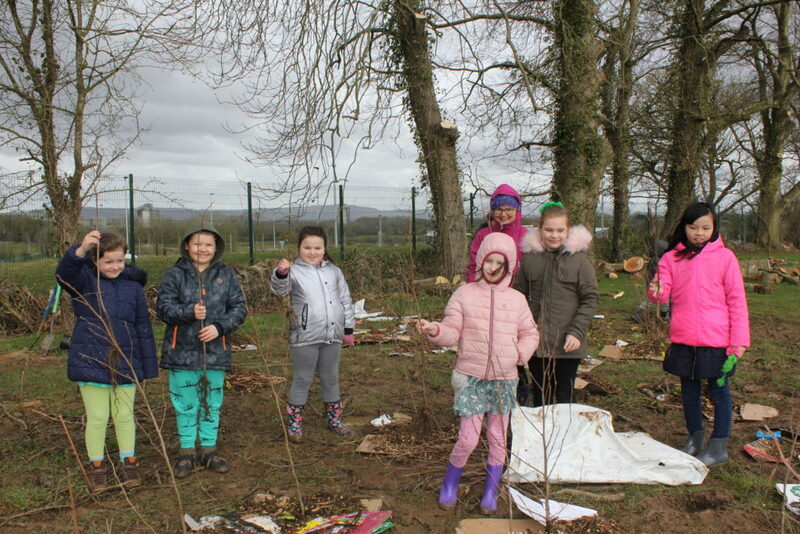 We planted 13 native species, including oak, birch, elder, blackthorn and hawthorn. We included a special guest, the wayfaring tree. The schools collected cardboard for mulching the forest floor. 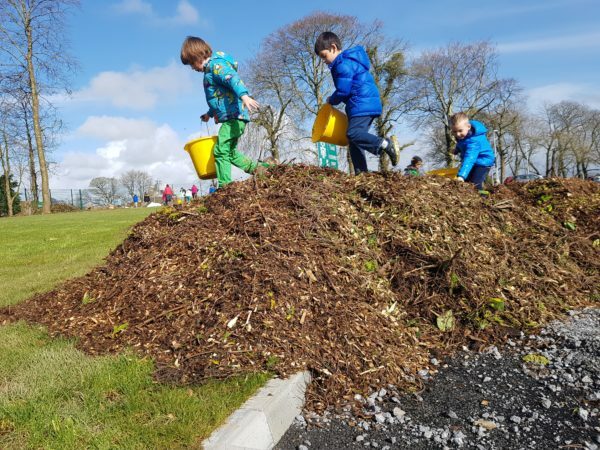 Limerick Council delivered bark mulch to each school and this was used to cover the layers of cardboard. This means that there will be little grass competition and moisture is held in the ground and the trees will grow better. Go raibh maith agaibh to all of the schools who took part, Limerick County Council, LEAF and the Greene Memorial Fund for making this project possible.